Latest news from the Michael Chu’di Ejekam Blog: February 6, 2018. Fine & Country organized ‘Navigating Change’ in collaboration with Business Day and Lagos Business School. ‘Navigating Change’ will set the tone for the year by identifying the impacts of the current economic and political standing in the Real Estate Industry. Winning strategies for the current economic state was discussed by experts and current trends and opportunities for residential and commercial sectors were also mentioned by some. The Real Estate Outlook session was formally started by Dr. Henrietta Onwuegbuzie, Director of Entrepreneurship, Lagos Business School, with her welcome address. Mr. Frank Aigbogun, Publisher for Business Day, then commenced the seminar by saying Real Estate mirrors the Economy and gave his insights to the current economic situation. 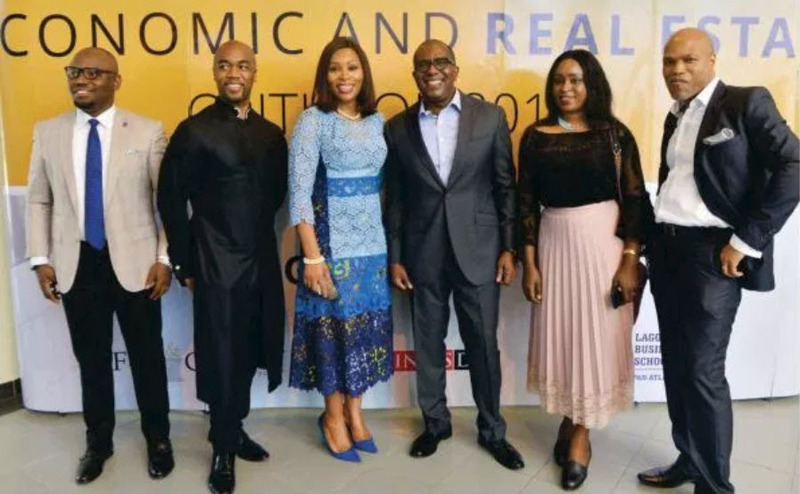 ‘Navigating Change’ was described by Mrs. Udo Okonjo, CEO/Vice chair of Fine & Country, as a crucial seminar to discuss the reflection of the current and new market situation that is beaming with bright opportunities for Real Estate Entrepreneurs. Three main topics were discussed: Real Estate, Real Disruption; Bridging the Financial Gap; and Residential and Commercial Trends and Opportunities. As one of the special guest, Mr. Michael Chu’di Ejekam shared his insights and experiences working in the retail real estate. As a world-renowned leader in his field, the audience were keen to know his predictions for 2018’s economic and real estate growth, taking into consideration the current economic situation and its potential effects for Real Estate growth for the country. During the program, Fine & Country and Lagos Business School has announced their collaboration to launch a Real Estate Leadership Course that will start on June 2018. She added that Fine & Country’s main goal is to continuously provide thorough leadership course in the Real Estate sector through courses such as this which is designed for Real Estate Entrepreneurs.